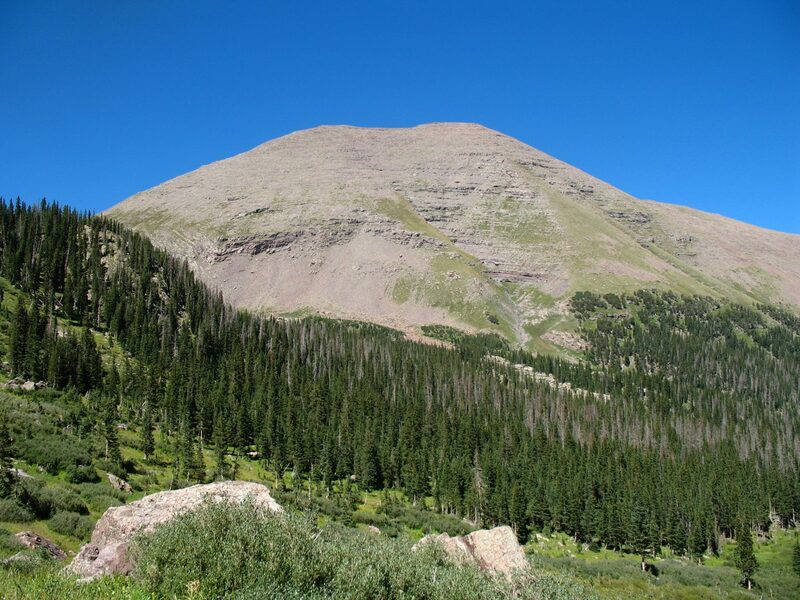 Humboldt Peak rises to 14,064 feet, 12 miles southwest of Westcliffe and 1.5 miles northwest of its famous neighbors, Crestone Needle and Crestone Peak. Many consider Humboldt Peak the easiest to climb of the Crestones, which also include Kit Carson Peak and Challenger Point . Alpine lakes, grassy slopes, wildflowers and surrounding fourteeners fill the 11-mile round-trip hike to Humboldt Peak’s summit. Late June through September is the best time to summit Humboldt, though snow is possible in June and September. Severe afternoon storms occur daily, so it’s best to start early and return below tree line by noon. Many hikers choose to camp in nearby South Colony Basin at South Colony Lakes, giving them a head start when they hit the trail early in the morning. Though several trailheads provide access to Humboldt Peak, the South Colony Lakes Trailhead on the east side of the Sangre de Cristo Range, about 17 miles from Westcliffe, is the most popular. The lower South Colony Lakes Trailhead is accessible to all vehicles, while access to the upper trailhead requires a high-clearance, four-wheel-drive vehicle to save several miles of hiking.